wolfie and the sneak: Homemade concoctions to aid in making homemade concoctions. Homemade concoctions to aid in making homemade concoctions. A few holidays ago (I have no idea which one) Charlie started building me a drying rack as a gift. Six, maybe 8, months of starting and stopping later it's finally finished and in full use! 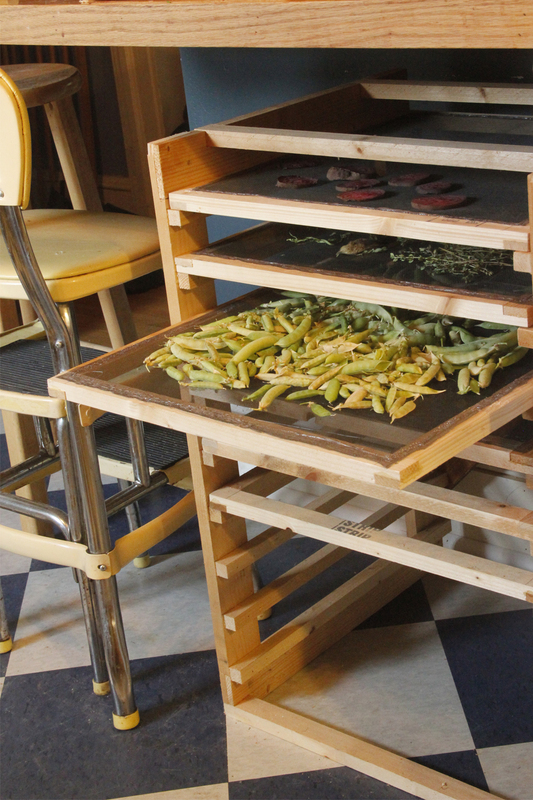 It's basically a pine frame with slots to slide trays in. The trays are also pine and I hot glued taut screen on top of each tray. The whole thing, though large, is lightweight and easy to move, but also slips nicely into place underneath the kitchen counter. 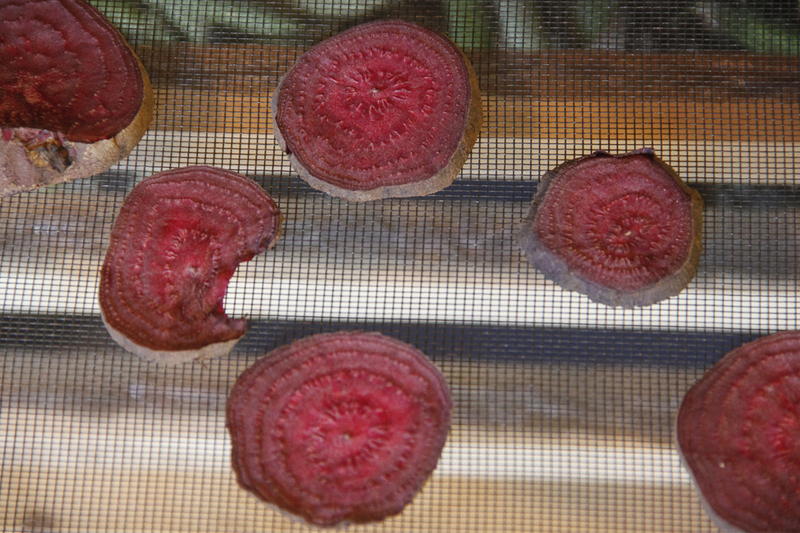 So far I'm drying snow/snap peas and fava beans for fall planting, various herbs, and thin slices of a large beet. The beet is an experiment. My favorite lip balm has a hint of beet powder in it to tint the balm. I'm interested in trying to make my own with fewer ingredients and perhaps a bit brighter color. Wish me luck, it may take me another 6 to 8 months to get around to making it! I bet the beets would make a pretty lip stain too.